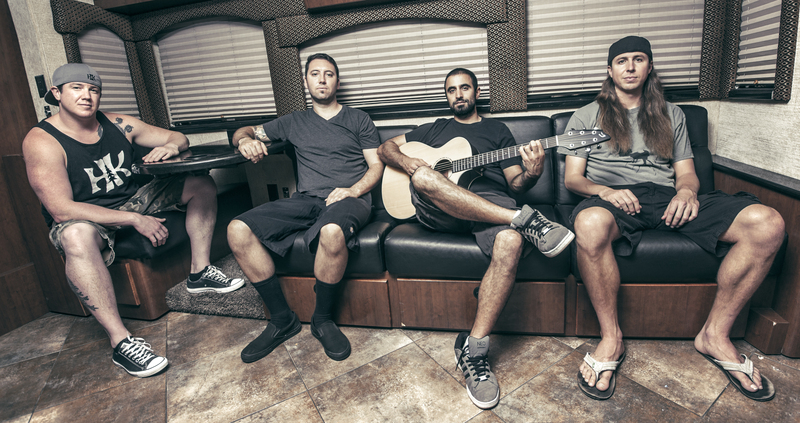 Rebelution is an American reggae band from Santa Barbara, California, formed in 2004. Immediately praised for their catchy hooks and passionate lyrics, the band recorded three albums and two EPs between 2006 and 2012. On June 10, 2014, Rebelution released their latest project Count Me In. The band has a unique ability to twist lyrics and rap them over beautifully laden reggae music. The lyrics tend to be very relatable and socially conscious, dealing with common themes spanning a broad spectrum, from relationships to politics. After a bit of a psychedelic intro, “Lost in Dreams” breaks into a more hip hop-style drum beat. This tune explores the difference between dreams and reality, using simple analogies to express complex emotions. “Fade Away” will make any listener feel as if they are floating in the clouds. This soft, smooth track is colored in with spacey guitar tones. “Hate to Be the One” presents an issue we have all experienced. Specifically, it discusses a situation where your buddy is in a relationship that you know cannot last. Anyone in that situation hates to be the one to tell him the truth. But the song can be applied to any number of situations in which you do not want to break the truth of a bad scenario to someone close to you. “Against the Grain” begins with screaming horns in the intro. This track advises listeners to rise above those who deter us from succeeding in life. Do not let those who misunderstand you keep you from pursuing happiness. Finally, “Invasion” finishes off the album with a more rock-oriented track. Heavy, distorted guitar is featured in the intro, bringing the energy up for a funky verse. This track offers an insight into the gruesome and immoral acts humans have committed out of greed and the quest for power. As we can see, the content of this album covers a diverse range of themes. Rebelution has continued to inspire and evoke emotions, as they always have, through poetic lyrics and groovy reggae beats. Count Me In is a wonderful addition to an already stellar body of work from Rebelution.